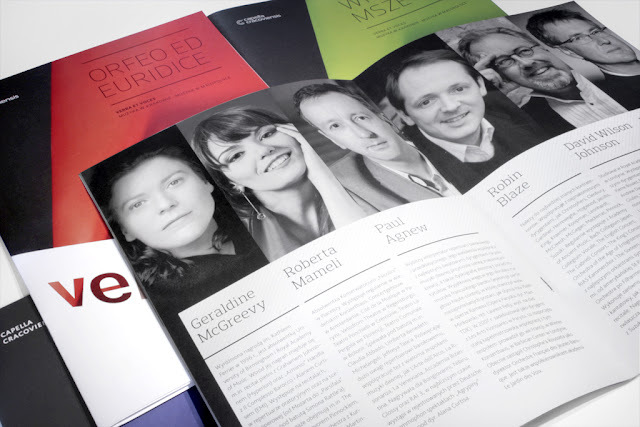 There are billions of possible design solutions when designing a publication. Hundreds of thousands of graphic design means you could use. 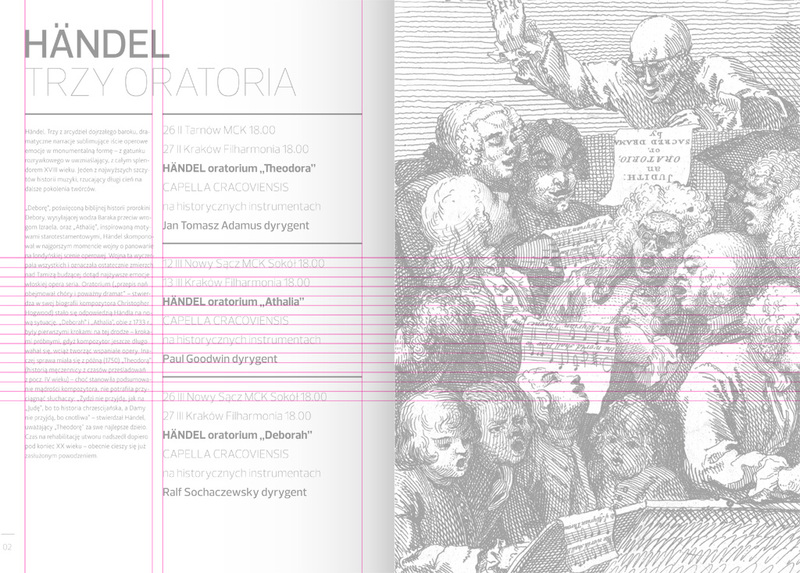 Tens of thousands of text and illustration alignments. Is it possible to find the best solution that would make it actually work? What is grid? Why medieval scribes needed to use it? What to do if you're not an illuminator from late 7th century and how can you use it? Click to find more! So, what's this grid I'm talking about so much? Josef Müller-Brockmann describes grid as "the solution of a logical puzzle, where grouping and organizing texts and illustrations helps to emphasize the most important [elements]." 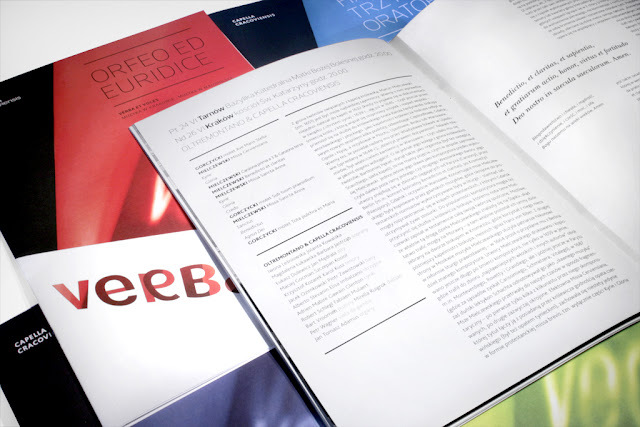 A well-designed grid helps to "objectively communicate the content using the means available to visual communication", but also helps to systematically build a logical layout of texts and illustrations. Grid allows you to arrange the space in a rhythmic way. Using it, you can clearly communicate the message, minimizing the risk of being misunderstood [by the user]. Actually, it's all about proportions. And Middle Ages is not when it all started. It was much, much earlier. And then there was more. But it's not something this post is about. Let's start from the Middle Ages, then. 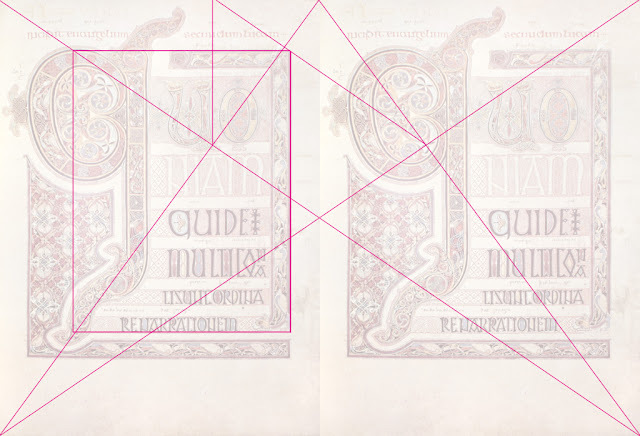 The layout you see here (from Lindisfarne Gospels) is actually based on the golden canon the scribes were using when copying the manuscripts. I reconstructed it for the purpose of this post. As you can see, the final effect is actually a slightly modified version of a classical grid costruction. You can read more about it here. Spread with golden ratio grid construction. The reconstruction is not a perfect one - the inaccuracy might come from the deformation of the paper throughout the ages but hey! it's over 1300 years old! 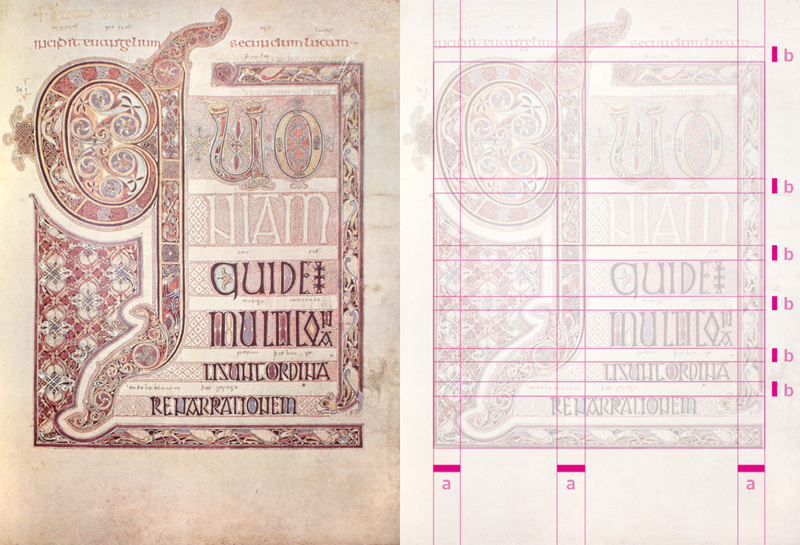 What you can see on the left is a beautifully illuminated page from Lindisfarne Gospels. The right side shows my interpretation. Surprised? Well, it's hard to believe how little those Middle Age graphic designers actually differed from us today. The means were different, but the construction was basically the same thing we can see today in many publications. Back to the grid – what's it for, apart from making things clear and visually appealing? It makes you more effective. Cost effective. According to Brockmann, "a problem can be solved in less time and at lower cost". 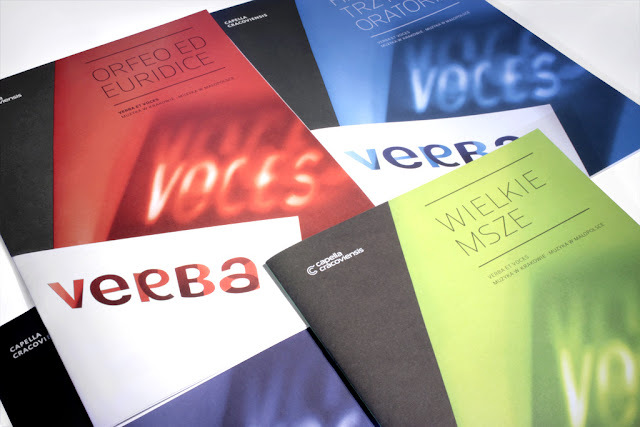 Moving on to the examples, I'd like to show you a series of publications I designed for Capella Cracoviensis and their series of concerts, Verba et Voces [Words and Voices]. Every Verba et Voces publication I designed was based on the same grid. 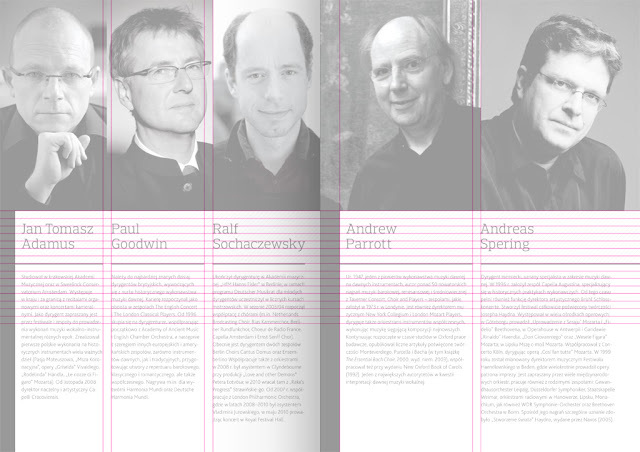 What I was looking for when thinking of a grid was to make it work with large amount of texts (as seen below), but at the same time allow to present artists with their biographies and, on top of that, allowing some pages to be filled entirely with photos, drawings or etchings. This is an example of a spread filled entirely with text. My design goal was to make it organized, but not boring. The layout also had to work with large amount of pictures. 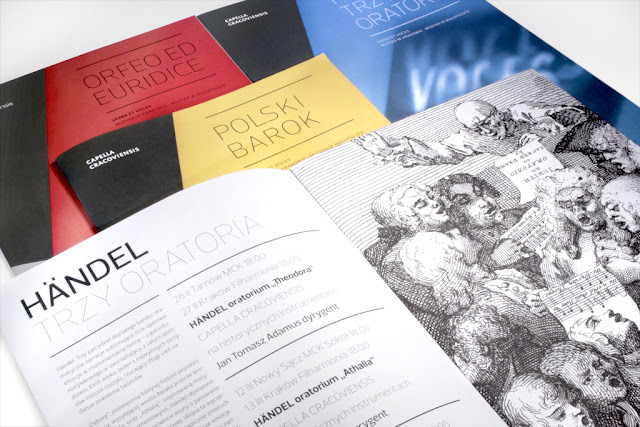 All the artists were to be presented in the publications, so that provided an additional design challenge. The grid was flexible enough to allow quick editing. If there was a change in ensemble, I could easily change the pictures or bios. 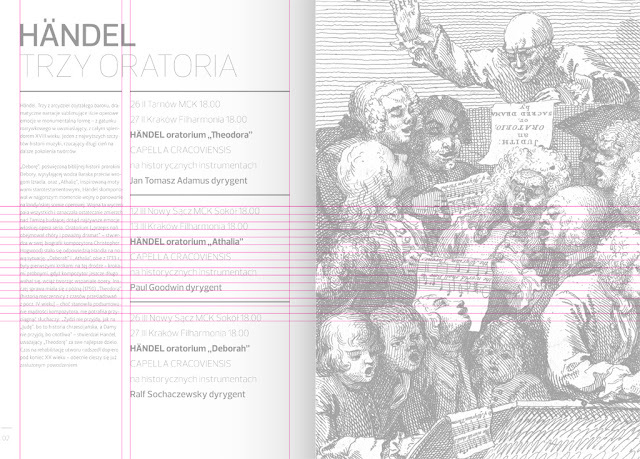 If one biography had smaller amount of text than others, I could adjust the layout using the grid. Grid makes it easy to adjust dimensions of the elements without fear of breaking down the graphical consistency. Baselines for the text are also an element of the grid. It gives the text the inner rhythm and improves legibility. How can you design a grid? count. Simply counting pages can help you imagine what there is to be designed (and what will be the core of your design) and which pages you might use for a beautiful, double page photography. Or something else equally stunning. start from deciding which typeface you are going to use. Then define font size and leading. That will help you evaluate the amount of text per page. play with different styles! If your layout looks boring or inappropriate to what you're aiming for, change it. You learn by experimenting. be inspired! Maybe you've seen the book or a magazine you really liked? Try to redraw the grid that was used there and experiment with your own ideas! As for the finishing thought: the grid might have been created by a man to help organize and give things order. But remember: it was meant to help, not dominate. That's what many designers forget about. When designing, be logical, be consistent, but, most of all, think of the user. In the end, it's him [or her] that will be using your designs. It's up to you if it's going to be a nightmare or daydreaming.